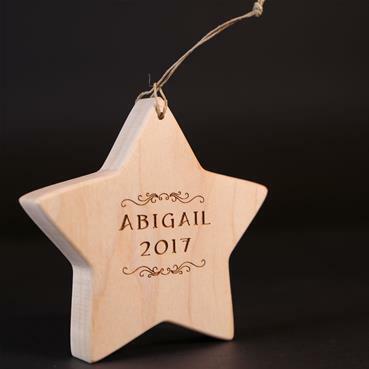 I love this chunky wooden star personalized with a first name and the year (can be backdated or omitted) which is laser engraved on one side. It's laser cut and then hand-sanded to remove the burn on the edges to give it a cleaner appearance. It also has rounded edges and points and comes with an all natural hemp string for hanging on the tree. Wood is all natural solid maple.